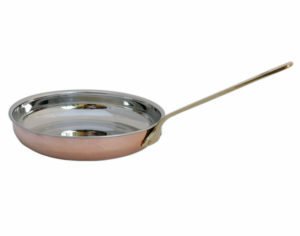 Ask a top chef what his favorite type of cookware is and is he will most probably say copper cookware. 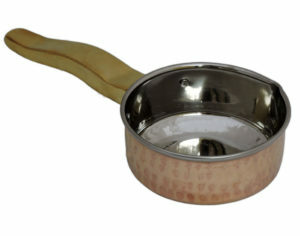 Copper cookware is one of the most beloved cookware, used and recommended by chefs all over the world. This popularity can be bestowed to various properties of the reddish-brown metal, some of which we are going to discuss today in this article. It is a good conductor of heat- As compared to iron and other regular stainless steel cookware, copper is definitely the most capable of conducting heat very well. When placed on the flame, the utensil quickly attains the temperature and gets ready to start the cooking process. This means when you adjust the flame the cookware will quickly adapt the change. There is a reduced chance of burning the food- when you are cooking with copper pots and pans the chances of bringing your food gets depleted to a great extent. Copper helps with the even distribution of heat of heat which leaves almost negligible chances of burning your food. Copper cookware is also great for slow cooking. It is more durable, safe, corrosion-resistant and hygienic- Unlike other materials such as iron, non-stick, etc. copper does not really corrode. It only develops a patina which can easily be taken off with regular cleaning and polishing. It also has a high melting point which makes it ideal for cooking dishes which require a lot of time. The food stays warm for longer- Copper cookware can trap the heat for much longer and helps in keeping the food hot for a much longer duration as compared to other cookware. 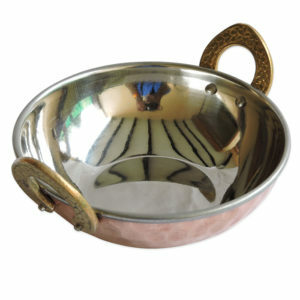 It is much more beautiful- As compared to any other type of cookware, copper cookware looks much more beautiful. The reddish-brown color makes it aesthetically appealing and adds to its beauty. The gleaming surface of copper makes it stand out from the rest. The cooking time is reduced- Copper is an amazing conductor of heat and which reduces the overall cooking time. This not only ensures that you are spending much lesser time in the kitchen but you will also save a lot of fuel as well. If you are using an induction stovetop, you will save some money on your electricity bill as well. 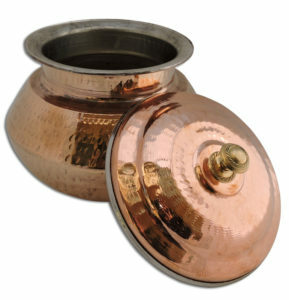 Easy to clean and maintain- As per the common misconception, copper utensils are fairly difficult to maintain. But in reality, copper utensils are very easy to clean and maintain. 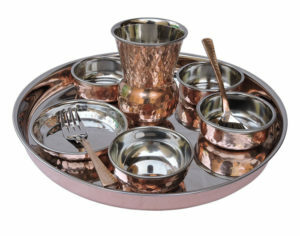 For pure copperware, you can use various natural recipes (such as lemon and salt, vinegar and salt, etc.). 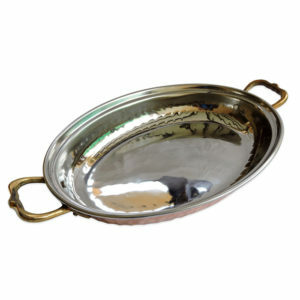 For polished copperware, you can wash the copperware with regular soap and water.